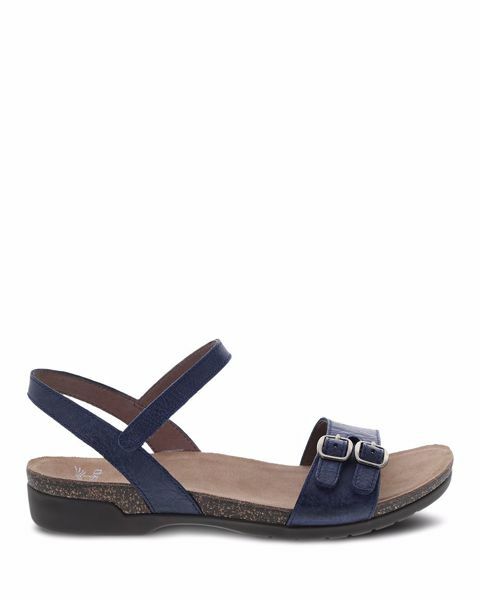 The Rebekah is a casual leather sandal featuring an adjustable hook-and-loop ankle strap and forefoot, leather linings, a molded memory foam footbed, a cork midsole, and a rubber outsole for long-lasting wear. Whenever Dansko comes out with a slimmer profile shoe or sandal, I buy them! These are comfortable and stylish. I don’t like the bulkier offerings so hope the company continues with the slimmer styles!!! I was looking for a sandal that would fit my tall, wide feet. I wanted something that I could wear with pants, shorts, capris and yet be dressy enough for dresses. These are perfect!